St.Botanica Moroccan Argan Oil Conditioner is an affordable, yet luxurious, way to restore the luster of hair lost in the blow-dryer desert. No need to sacrifice shining locks due to time pressures. Find your hair renewal oasis right here. The color-safe formula is also safe for all hair types, and the gentle, appealing scent wafts around you as you give your hair some conditioning love. Blends Vitamin B5, Vitamin E, Moroccan Argan Oil, Avocado Oil, Wheat Protein, Olive Oil, Silk Protein to hydrate, strengthen and repair hair. Natural, botanical oils and extracts add volume, texture and shine, creating vibrant hair. Additional Information: St.Botanica is a beauty and lifestyle brand known world-wide for their allergy-tested, dermatologically proven herbal, natural health and skin care products to promote a natural, healthy and beautiful lifestyle. World leader in various natural supplements for healthy lifestyle, aromatherapy oils, skin care and cosmetics, St.Botanica uses 100% natural, pure and safe ingredients and adheres to highest quality testing process and world-wide manufacturing standards. Explore the entire range of Conditioner available on Nykaa. 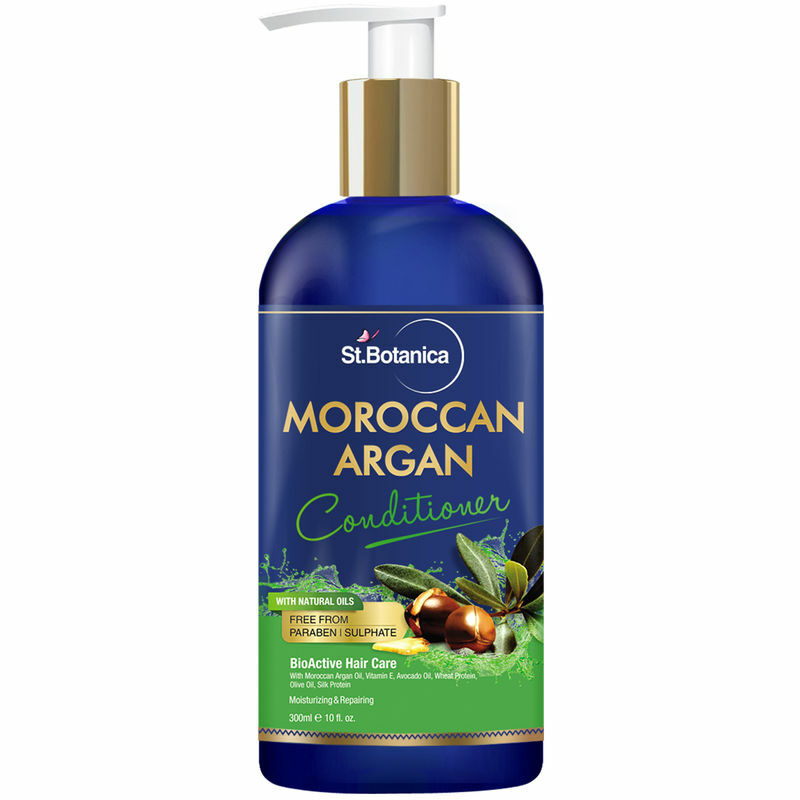 Shop more St.Botanica products here.You can browse through the complete world of St.Botanica Conditioner .